Shortlisted for Most Innovative Publisher in the 2018 Saboteur Awards, Bad Betty Press presents a night of live poetry to celebrate the launch of their ground-breaking anthology on mental health, supported by Arts Council England. 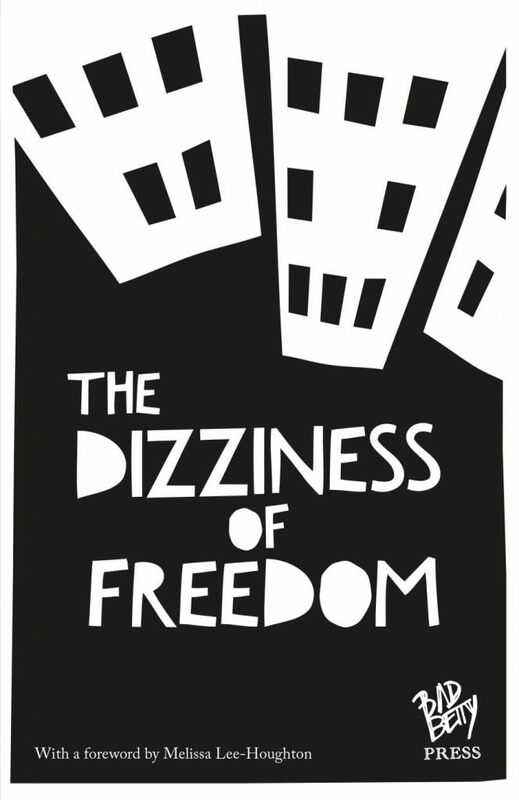 The Dizziness of Freedom showcases compelling, strange, beautiful and startlingly honest stories about mental health, written by 50 of contemporary poetry’s most exciting voices. This launch features live sets from a few of the book’s contributors including Deanna Rodger, Jolade Olusanya and Kathryn O’Driscoll. Hosted by Jake Wild Hall and Malaika Kegode (Milk Poetry). The Dizziness of Freedom came about to encourage conversation about mental health, help break taboos and challenge stigma. Contributors include Lemn Sissay MBE, Melissa Lee-Houghton, Rob Auton, Mona Arshi, Caleb Femi, Mary Jean Chan, Luke Kennard and R.A. Villanueva.